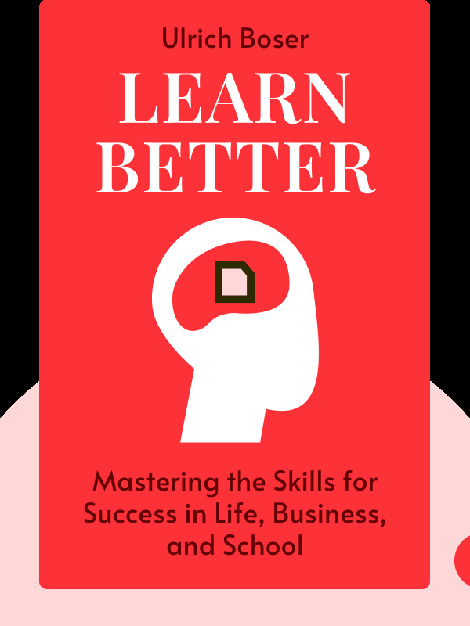 Learn Better (2017) upends traditional approaches to learning skills and obtaining knowledge. Learning was once thought to depend entirely on the innate ability and intelligence of the learner. Rote learning was the order of the day. We now know there are much more effective ways to learn. In fact, there are six simple steps to better learning. 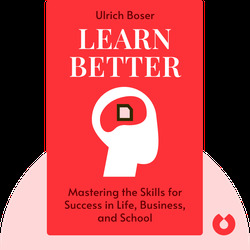 Ulrich Boser has worked as an editor, writer, reporter and education researcher. His work has appeared in the New York Times, the Wall Street Journal, Slate, Wired and Newsweek. As a child, he was categorized as a “slow learner” by his teachers, which sparked his later interest in the science of learning. His other books include The Gardner Heist, Learn Better and The Leap.